UPDATE 2 : Galaxy Tab 10.1 UN-Banned! 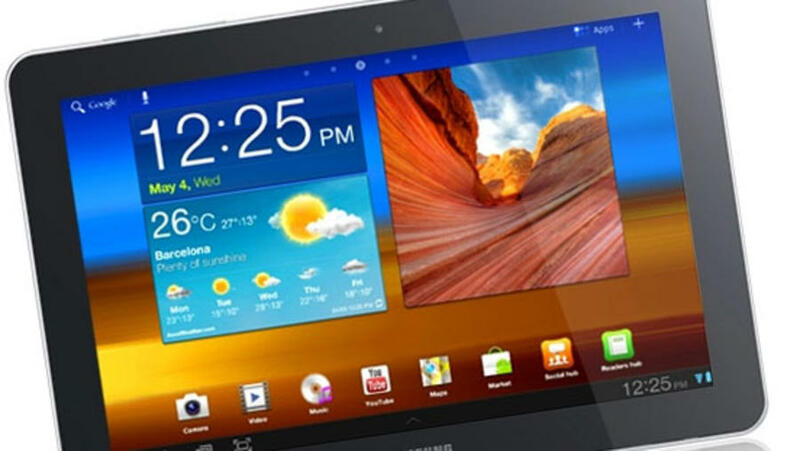 Apple recently won a court case in the US, managing to get the Galaxy Tab 10.1 banned from the country. In the meantime, courts are looking over a case regarding patent infringement on this topic. After the latest court ruling - not "cool" anymore. This sales ban does not effect any other Samsung products being sold, as the successor to the tablet has already come out - the Galaxy Tab 2 10.1.The iPad doesn't even look remotely similar to the Galaxy Tab 10.1, they have different aspect ratios and screen sizes! UPDATE (July 9,2012): Samsung won a court case, which Apple initated to ban the Galaxy Tab 10.1, but lost its "cool" in the process. The judge in Britain ruled that the Galaxy Tab won't be mistaken for a iPad because it's not "cool" enough - a growing sign that judges are restless with concern to these cases - mainly Apple v. Android. The Galaxy Tab 10.1 is still banned in the USA however. UPDATE (October 2, 2012): The judge presiding over this case in the US courts has formally unbanned the Samsung Galaxy Tab 10.1 after a jury has decided that it did NOT infringe on Apple's patents. What's your opinion on this - leave us a comment below!